Yup. Nachos can be cooked on the stove! This recipe is perfect for a quick lunch or weeknight meal! In an ovenproof skillet, brown the ground beef with the minced onion and garlic powder. Drain and return to the skillet. Drain and rinse black beans. Add the black beans, salsa, chili powder and ground cumin and mix well. 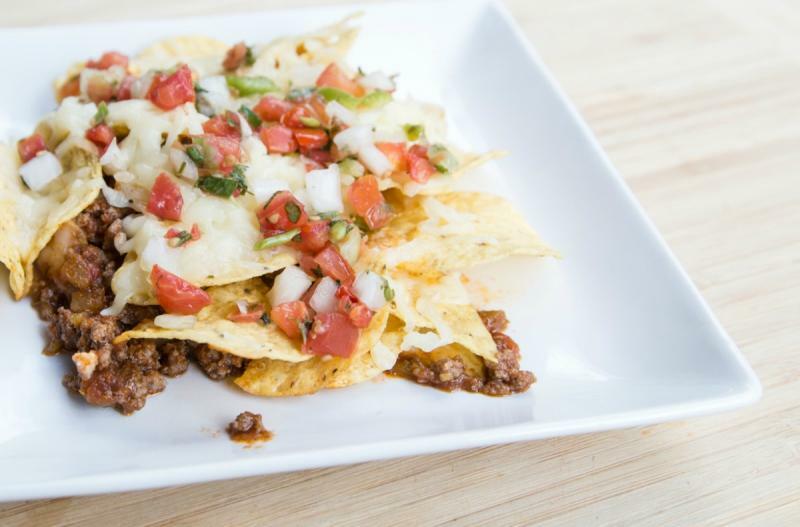 Place the tortilla chips into the beef mixture, as if you were making nachos upside down. Sprinkle the cheese over the tortilla chips. Place the skillet into the preheated oven for 10 minutes, or until cheese is melted. Serve Upside Down Nacho Skillet with fruit. Put baggie in the freezer and freeze up to 6 months in fridge freezer or 12 months in a deep freezer. 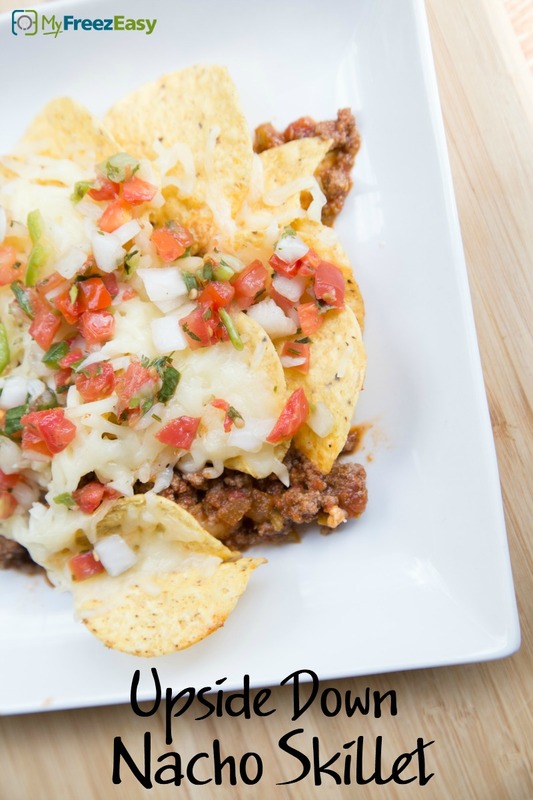 Thaw in the fridge overnight, or a warm bowl of water for about 20 minutes, before transferring to a skillet to reheat, assemble upside down nachos and bake as directed. Thaw and add contents of the bag to skillet to reheat. Once reheated, add tortilla chips into the beef mixture and top with shredded pepper Jack cheese. Bake at 350 F for 10 minutes, or until cheese is melted.